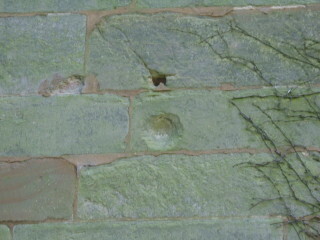 This mark was is likely to have been made by a canon, fired from Barford Hall, which was a large mansion situated where the Verdon Place or Red House Estate Park is now. 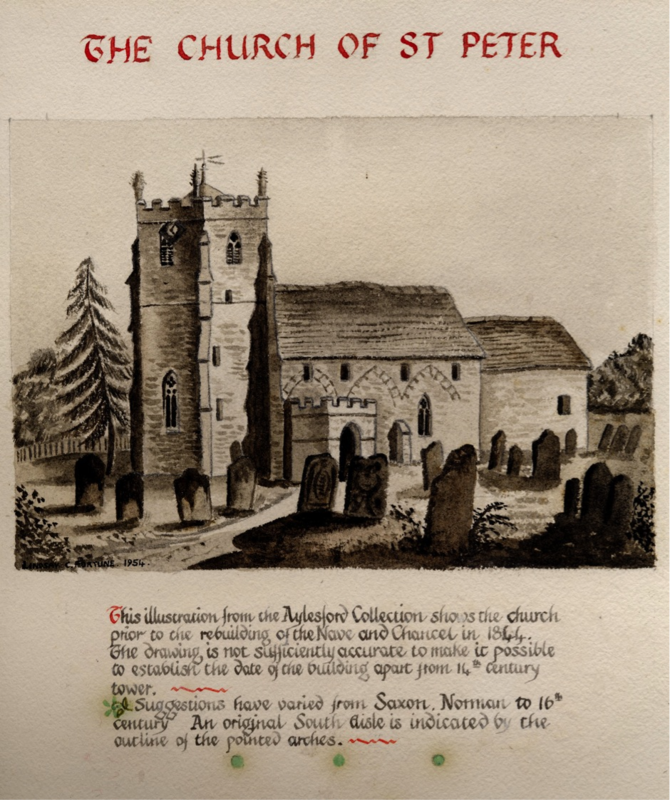 At the beginning of the 13th century the Saxon church was rebuilt and stood for 600 years. 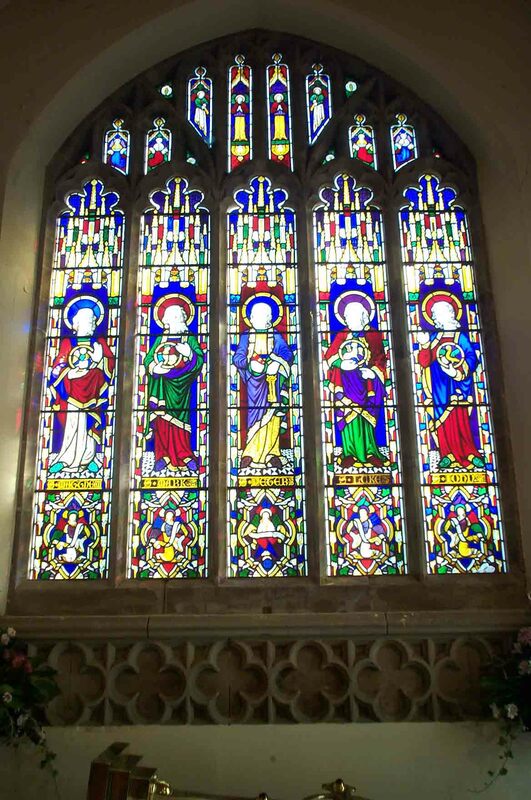 It is possible that the work at Barford may have been carried out by the same masons whom Thomas Beauchamp employed to build the present Warwick Castle and St Mary’s chancel. 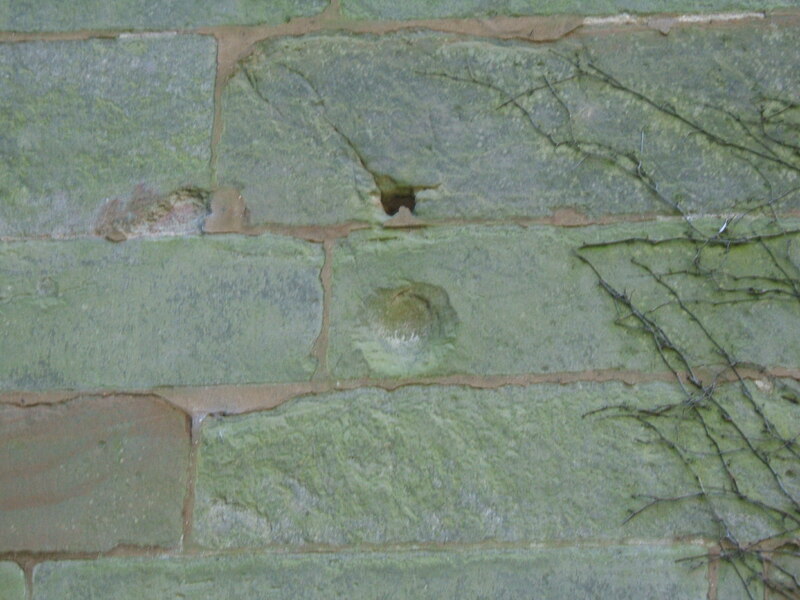 There are shot marks on the sides of the tower said to have been made by the Parliamentary soldiers before the battle of Edgehill in 1642. The building, except for the tower which remains today, was rebuilt between 1884 and 1885 largely through the generosity of Miss Louisa Ann Ryland. Inside the tower is the ringing gallery from which the peal of six bells is rung. Under the gallery is a 14th century recumbent stone effigy of a woman in a close fitting dress. Nearby is the “Churching Pew” formerly used by women who had recently given birth. By the organ is a 16th century iron-bound chest with two locks which was used to store documents and money. This was distributed to the poor of the village and known as “Parish Relief”. 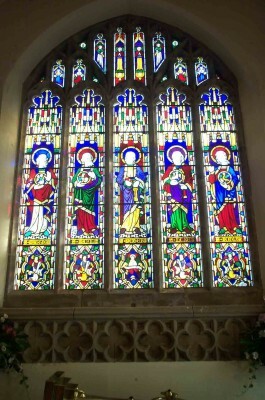 The East window is by Holland of Warwick. In the churchyard, near the line of yews, is the grave of Joseph Arch (1826 – 1919) who started the Union of Agricultural Workers and later became an MP. This page was added on 05/11/2014. I thought that St. Peter’s church had been rebuilt in 1844 not 1884. Chris is correct, St. Peter’s was rebuilt about 1845!